Jaipuria Institute of Management Indore, Celebrate "Jai Utsav"
Jaipuria Institute of Management Indore is celebrating Entrepreneurship Week in association with National Entrepreneurship Network, and its annual flagship event ‘Jai-Utsav’ from February 9 -15, 2014. The festival ‘Jai Utsav2014’ has a wide range of participants in its basket; Students, Entrepreneurs, School Kids, Villagers, Youth, Common People, and Corporate to name a few. The motive behind the event is to spread the spirit of entrepreneurship across the spectrum and also to run a massive public campaign on ‘Innovating for India’. The event will be coordinated by Dr.Priti Bakhshi, Dr.Romi Sainy and Mr.Bairagi, together with the support of faculty, students and staff, under the guidance of Dr. J. P. Upadhyay, Director, Jaipuria Institute of Management Indore. The first two days shall be celebrated as Inter-Institute get together at campus and a variety of fun filled competitions have been organised to promote entrepreneurial skills in different ways amongst the youth of the city. The competitions include Business Plan Competition,Business Quiz, Brand Antakshari,Sales Pitch, Business Simulation, Dance, Fashion Show, Kavi Sammelan, Sports, focusing on the theme ‘Innovating for India.’All the competitions have been designed in a manner encompass the fundamental nature of an entrepreneur. The competition does not limit its boundaries only to the campus, but Jai Utsav spreads its wings. February 12, 2014, sees the organising of ‘Dakachya Mega Bazariya’ whereby the day will be dedicated to the welfare of the people of Dakachya and surrounding villages, the bazaria shall focus on bringing together small entrepreneurs of different villages together in the form of Haat.The event will also feature medical camps, awareness about cleanliness, training workshops for village women, and talent hunts. February 13, 2014, targets the budding torch bearers of the society. The visit to schools is one way to reach them; concentrating on the entrepreneurs of tomorrow the activities designed areBusiness Models, Science Exhibition, Paper to Product and Skitson themes that promote optimism. 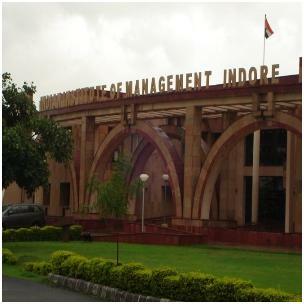 Management Indore, and this will befollowed by zealous games and activities to bring out the creativity and brain knocking thoughts of the youth, thereby instilling the need for entrepreneurship. students in the city to be equipped with more knowledge of IT and its applicability and importance in management education and in the industry. Established in 2010, Jaipuria Indore is situated in the picturesque location, fully equipped campus having modern amenities to facilitate learning in a digital based business learning environment. Spearheaded by Dr. J. P. Upadhyay, the institute goes beyond conventional education methodologies where students are not merely learners but also contributors. The institute offers 2 years full time AICTE approved PGDM programme.